In a plot twist most didn’t see coming, all felony charges against Jussie Smollett were abruptly dropped on Tuesday morning. However, the very prosecutor who dropped the charges—Cook County first assistant state’s attorney Joe Magats—wants to clear up one thing: this doesn’t mean he believes Smollett actually told the truth. In a series of texts and emails obtained by CNN, Foxx informed Smollett family friend Tina Tchen about Johnson requesting a federal investigation, after the Smollett family expressed “concerns about the investigation.” Tchen is Michelle Obama’s former chief of staff. Later, Foxx had a text message exchange with another unidentified Smollett family friend noting she “spoke to the (police) superintendent earlier, he made the ask. Trying to figure out the logistics” to which the unidentified friend responded with, “Omg this would be a huge victory.” Following acknowledgment of the texts, Foxx recused herself from the Smollett investigation in mid-February. The Chicago police union also wants the feds to further investigate the letter Smollett claims was sent to him prior to the alleged attack against him. “We’re doubling down on that. We want to make sure that the Justice Department takes a very hard look with that case and what went on today,” union president Kevin Graham told reporters following news of the dropped charges. Additionally, CNN reported that Gloria Schmidt, the attorney for brothers Olabinjo and Abimbola Osundairo, noted they were “fully prepared” to testify in court, but has since confirmed she no longer represents them. 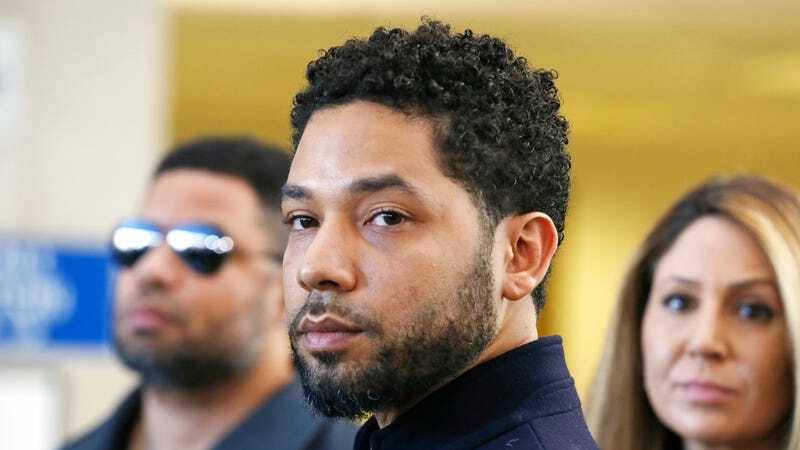 Smollett was initially accused of paying the Osundairo brothers to attack him in connection with an alleged hoax.